Amid the danger and death of a decaying 19th century city, the Pawnbroker plies his trade. A man of evil temper, he craves the one thing that will bring him the fulfillment he covets. In the present day, two teenage boys explore an abandoned Tudor-style house. An eerie atmosphere fills the boys with a sense of dread, and they realize that something sinister is in the air. 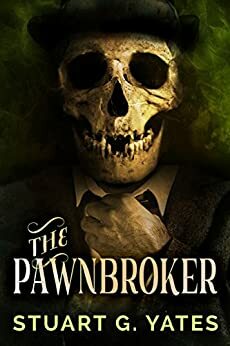 As the past reaches the present, the boys must uncover the mystery of the house... and face the ancient evil only known as The Pawnbroker.